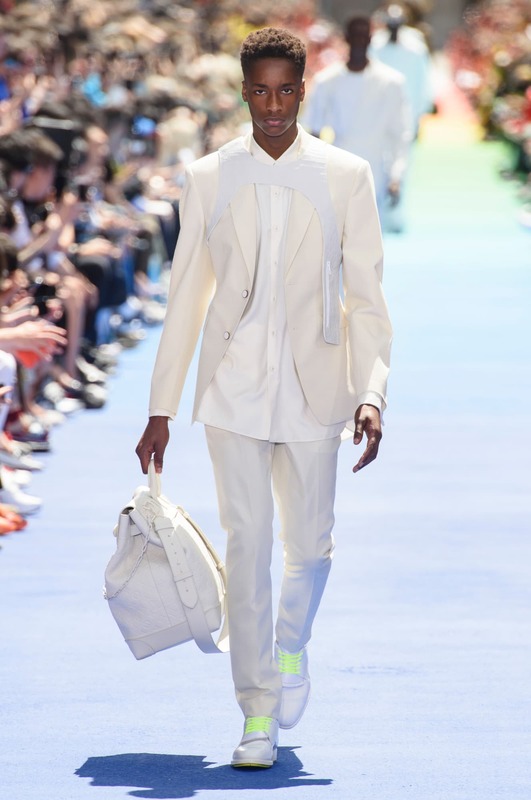 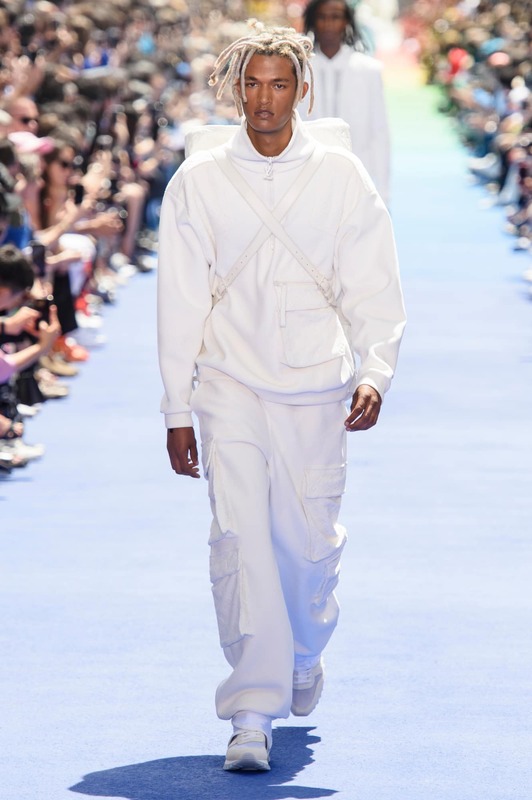 Off-White designer Virgil Abloh’s first ever Louis Vuitton show as the Artistic Director of Menswear took place on Thursday in Paris and was attended by all the cool kids (aka his celebrity friends). 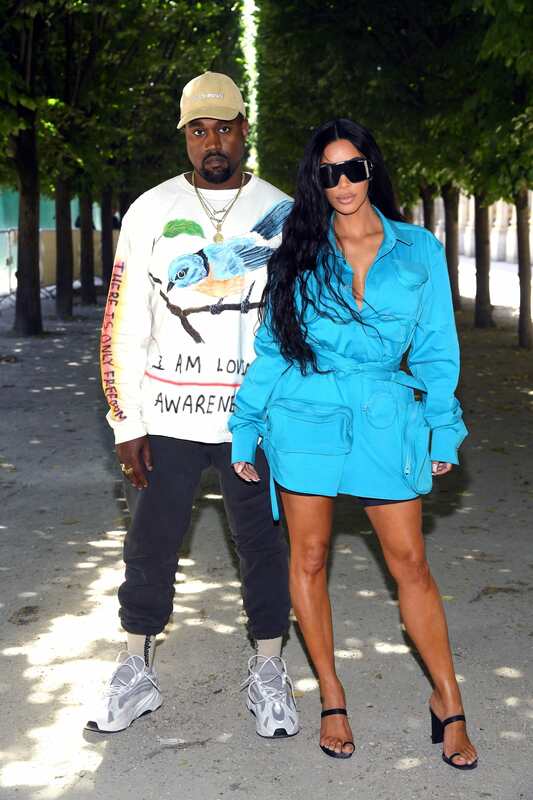 The celeb attendees included models Bella Hadid and Naomi Campbell, as well as, Kim Kardashian West and hubby Kanye West. 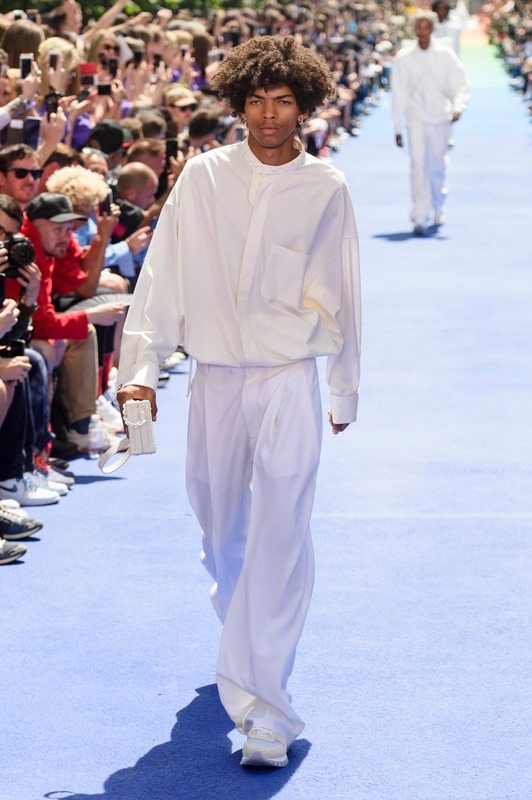 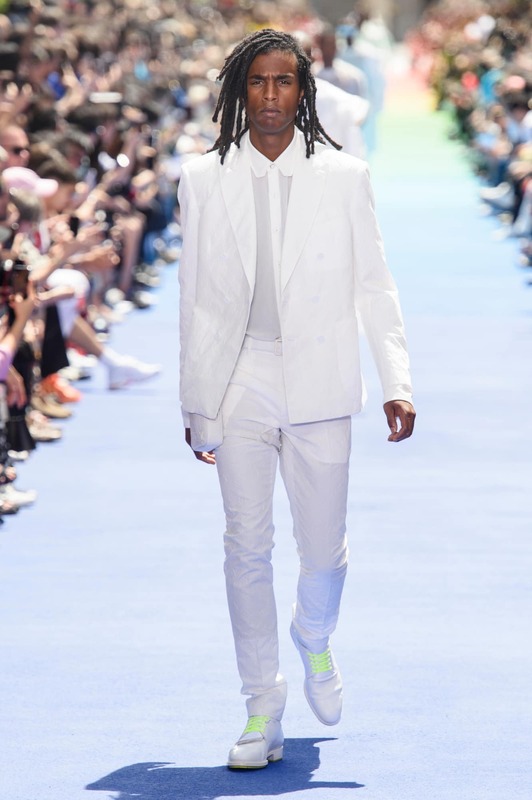 They all showed up rocking off-white or brightly hue-themed outfits to the show.